Automobiles Citroen S.A was founded by Andre-Gustave Citroen in 1919. Andre was a French industrialist and freemason and used to mass produce armaments. However, in the mid-1910s, he developed an interest in the automobile industry. After World War I, he was left with an empty factory, which he then used to set up a company named after himself, Citroen. 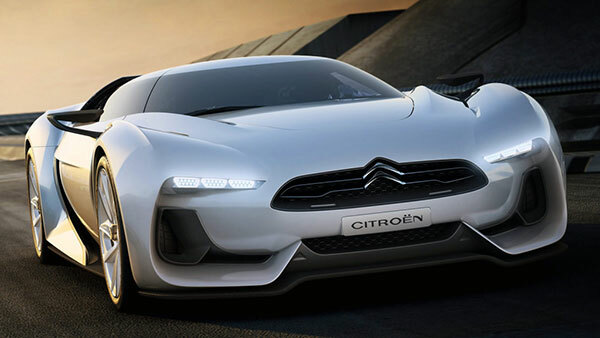 That’s how the Citroen company started, continue reading to learn more about the Citroen Logo, history timeline, and list of latest models. 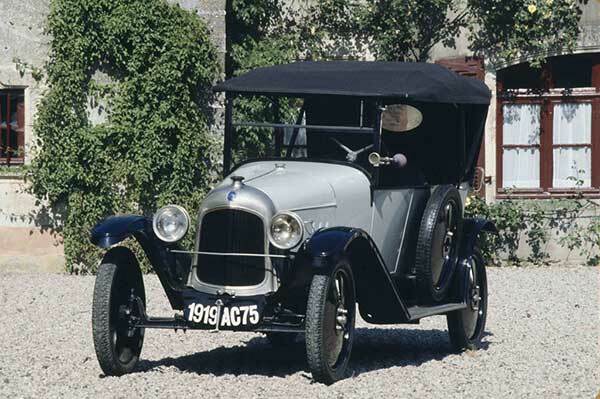 Citroen’s first vehicle was the Type A (Picture Below), which was released with an original advert. It was a classic car with a four-cylinder engine and a top speed of 64kph. Soon enough, the vehicle became a success in the French automobile market and this marked the beginning of a successful company. 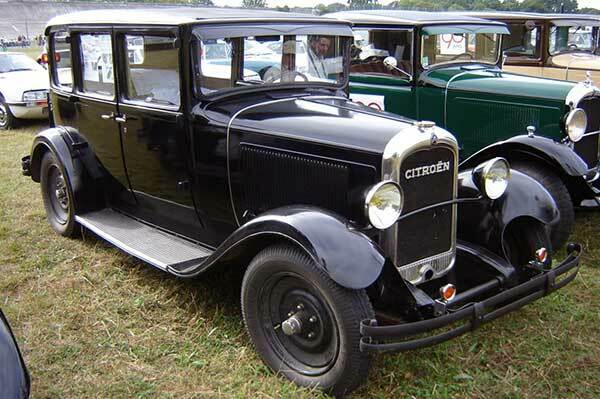 Two years later, Citroen managed to expand its production rate to 50000 units and by 1927 (just 8 years from its inception) became the 4th largest automobile manufacturer in the world. In 1931, the company began manufacturing commercial vehicles and introduced the Citroen C4F and three years later, Citroen introduced the world’s first ever front-wheel drive car, the Traction Avant. Towards the end of the 30s, a prototype of one of the most successful vehicles of Citroen, the 2CV, made its debut. However, due to the 40s bombing on the Javel Factory, the company couldn’t continue production. Nevertheless, Citroen managed to hide prototypes of the 2CV, which were later manufactured in 1948. It is said more than 5 million units of the 2CV were built. Towards the end of the 40s, Citroen presented the Type HZ, which was a compact van. Additionally, the company managed to introduce gas as an option on most of its vehicles due to the petrol crisis. In the 50s, Citroen released a van version of the famous 2CV, which could deliver 100 km per 5 liters. A year later, the Citroen 15 CV made its debut, which became the official car of the French Government. 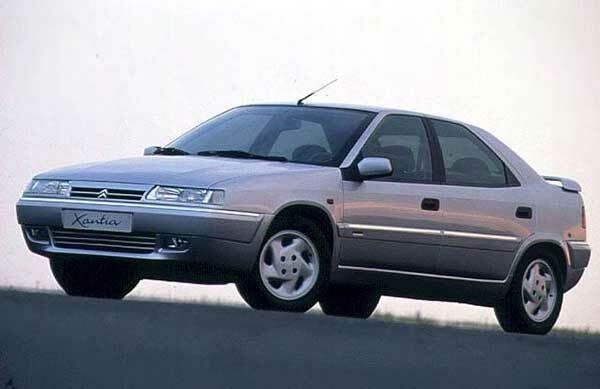 It was during this time that Citroen vehicles underwent significant style changes and looked more modern. By 1958, the company ended production of the Traction Avant after manufacturing more than 750,000 vehicles. The company made an amazing start to the new decade by launching the DS 19 in Paris. It was one of the first Citroen cars to be offered in a wide range of customization options and 76 different color combinations. In 1964, the company suffered a major loss with the death of Flaminio Bertoni, who was the main designer of Citroen and the man behind the legendary DS 19 and Ami 6. In 1969, Citroen once again left the competition behind and introduced the first French production model to feature electronic fuel injection, the DS 21. Two years later, the Citroen GS won the ‘Car of the Year’ award and throughout the 70s numerous other successful models were also produced and launched. 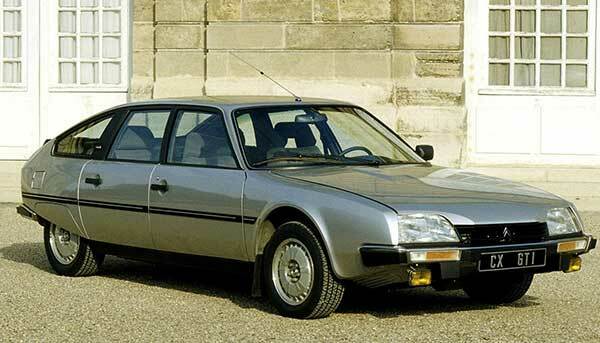 These included Citroen DS 23, Citroen Ami Super, Citroen CX, Dyane Caban, and CX 2400 GTI. In 1976, Fiat acquired 30% of Citroen and then formed the parent company, PSA Peugeot Citroen, which is now the second-largest European automaker and ninth largest by unit production. In 1979, the seven-speed Mehari 4×4 made its debut. In the 80s, Citroen gained, even more, repute worldwide with the introduction of the classic Visa II and Charleston. Two years later, the Citroen Visa GT made its debut and by 1985, the company decided to change its old logo with a new logo in red and white. In the 90s, began production of electric vehicles and introduced the Citela, which was an exceptionally beautiful electric prototype. With the start of the new century, Citroen introduced its famous line of C models, such as the C1, C2, C3, C4, C5, and C6, all of which became immediate successes in the automobile market. 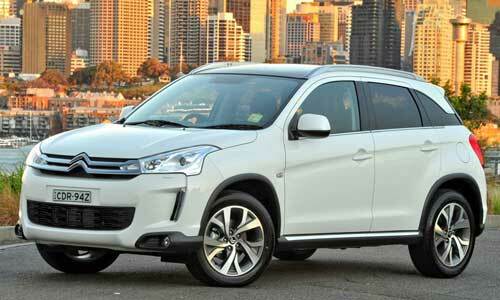 However, by 2010, sales of Citroen cars reduced significantly. Regardless, the company continued production of vehicles and introduced the Citroen C-Zero in 2012, which was the first electric car to complete a round-the-world tour. Currently, Citroen is one of the largest automobile manufacturers in France, but isn’t exactly doing well in other markets. In fact, just recently the parent company has run into severe financial difficulties, resulting in the Dongfeng Motor Corporation purchasing 14% of the company’s shares. Citroen has won numerous awards throughout its history. These include three European Car of the Year awards, eight Auto Europa awards, and one United States Motor Trend Car of the Year award. From 1925 to 1935, Citroen used the Eiffel Tower as a commercial billboard to boost sales. No other brand in history has ever used the legendary monument as an advertising medium. Andre-Gustave Citroen is known to be the first person to introduce industrial mass production of vehicles outside the US. Citroen is one of the most challenging brands in motorsport history with over three different official championships from the International Automobile Federation. During the 50s, demand for the Citroen 2CV van grew so much that a six-year waiting list for delivery was created. As you can see from Citroen’s history, the company is a pioneering car manufacturer, with a long line of original, advanced designs and a tradition of engineering exceptionally beautiful vehicles. So, which one of the cars do you find most impressive?